MPA Graduates: the MPA Spring 2018 Commencement Ceremony is less than a week away. The following contains important information about the ceremony, reception, day-of parking, and more. 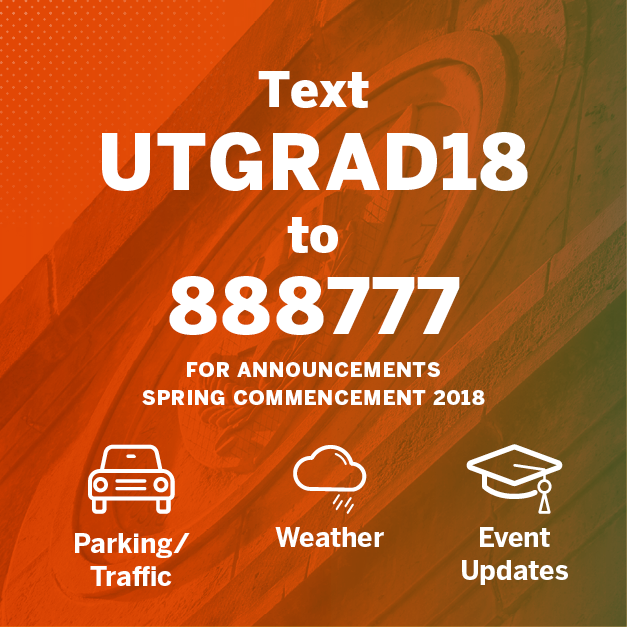 UT has asked that students and guests attending any of the commencement ceremonies text UTGRAD18 to 888777 to receive text updates. Time: Reception: 10:30 a.m. Ceremony: 12:30 p.m. 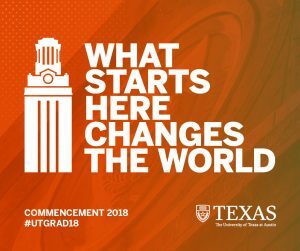 The UT parking garages will be free to use on Saturday, May 19 for commencement. We recommend parking in the San Jacinto Garage, expect heavy delays in the Brazos Garage. 21st Street will remain open (eastbound only) from 6 a.m. – 3:45 p.m. on Saturday for drop-off and pick-up only. 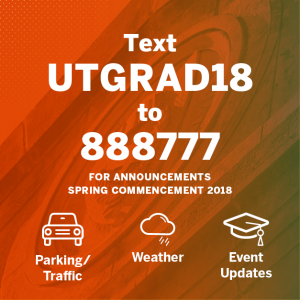 More information on parking: https://commencement.utexas.edu/getting-around/parking. GRE Passenger Drop-Off and Pickup Directions. The MPA Commencement Reception will begin at 10:30 a.m. on Saturday, May 19 in the CBA 3rd floor Atrium and CBA Events Room. We will be serving light refreshments for MPA graduates and their guests prior to the ceremony. The photo booth will be open starting at 10:30 a.m. (digital prints only). The MPA Commencement Ceremony will begin at 12:30 p.m. on Saturday, May 19 in Gregory Gymnasium. Seating for guests begins at 12 p.m. Tickets are not required for guests. Graduates will need to check-in and line up in the Gregory Annex Gym (2nd floor) beginning at 11:30 a.m. Please be at the annex prior to 12 p.m. Students will pick up their name cards in the Annex. You can sit with your friends, just be sure to line up with them. Backpacks, tote bags, or any bag larger than 12 inches in any dimension will not be allowed into any of the Commencement venues. All bags are subject to search by security personnel, including purses, camera cases, and diaper bags. Guests are strongly urged not to bring bags to any of the ceremonies unless they are absolutely necessary. Those will prohibited larger bags will be turned away. UT’s bag policy can be found here: https://commencement.utexas.edu/about/security-information. No tripods will be allowed in aisles or unattended. There will be an elevator for guests who are unable to take the stairs into the gymnasium. A snapchat geo-filter will be available for use on May 19. Please send your Commencement/Grad photos to MPAEvents@mccombs.utexas.edu to be featured on the MPA Twitter and/or Instagram accounts. Also be sure to tag us in your photos @UTexasMPA. 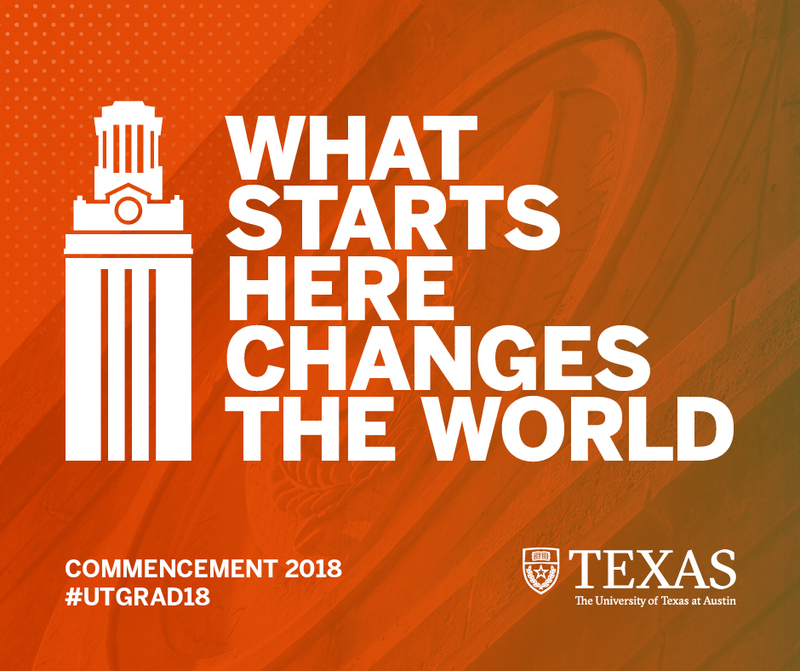 Use the hashtags #UTGrad18 and #MPAGrad18. If you have any other questions, please feel free to contact Makenzie at MPAEvents@mccombs.utexas.edu.